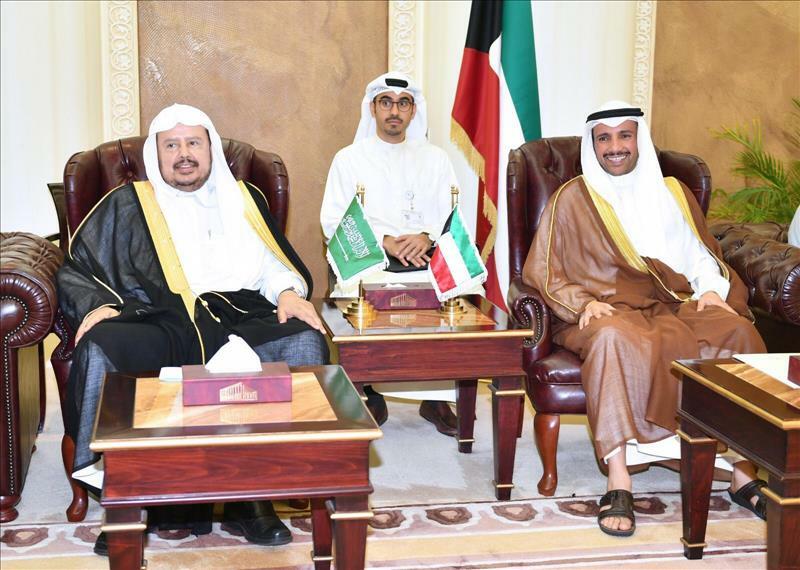 (MENAFN - Kuwait News Agency (KUNA)) KUWAIT, Nov 8 (KUNA) -- National Assembly Speaker Marzouq Ali Al-Ghanim on Thursday held official talks with the visiting Chairman of Saudi Shura Council Sheikh Dr. Abdullah bin Mohammad bin Ibrahim Al-Sheikh and his accompanying delegation. The two sides, during the meeting, reviewed the bilateral relations between the two brotherly countries, means of cementing mutual cooperation in diverse fields, particularly in the parliamentary realm, issues of joint interest and regional affairs. The meeting was attended by head of the accompanying mission of honor, MP Dr. Ouda Al-Rouwai'e, MPs Dr. Abdulkarim Al-Kanderi, Abdullah Al-Enezi, Khaled Al-Shatti, Khalaf Al-Enezi, Mubarak Al-Hrais, Saud Al-Shuwaier, Saudi Ambassador to Kuwait Prince Sultan bin Saad bin Khaled Al-Saud and National Assembly Secretary General (of Kuwait) Allam Al-Kanderi.